One day last week I had to help a student find a book in their Lexile- the new way my school district measures student reading levels. Unfortunately, our library books are not listed by Lexile, so it’s always difficult to find a book for students who are high up in the Lexiles, but books they would find interesting are not. The fun books are not usually very challenging. This is where I have to get creative with my recommendations- specifically, I have to make classic literature sound very interesting to a teenager. Not always an easy task. I have to make use my degree in English as a guide. Thankfully, I read many, many classics, so I can draw from what I liked back then to make those suggestions. With this particular young lady, I knew that she liked realistic and chick lit fiction, so I went straight for Jane Austen. Due to her non-Lexile reading preferences, I hoped that Emma would be a good choice for her. I described how Emma thought she was a successful matchmaker, but the reality was very different. The student decided that was the perfect book for her. After the student left, I pondered the lessons taught through Emma, but thought nothing more of it until later that day, when I read a few comments on a Facebook post of mine. Two men who attended high school with me made comments that most would deem mildly as “mansplaining.” Initially I thought about asking if they really thought I was so stupid as to not know what they felt they needed to explain to me. Then I remembered the scene in Emma where Emma says something derogatory to Miss Bates, which Mr. Knightley promptly scolds her for doing. 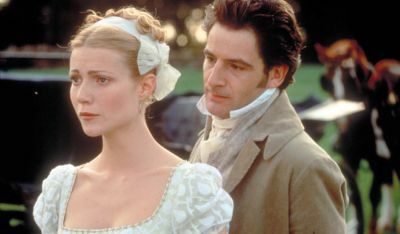 Miss Bates was not Emma’s social equal, so it was not kind for her to criticize Miss Bates, knowing that others would view the treatment as an acceptable. Mr. Knightley reminds her that she is better than that and that she should always show kindness to those below her social status. So, how is this similar to my situation? Well, to my knowledge, neither of the men in question ever went to college, nor are they as financially stable as I am (from what I can tell based on their online presence). Technically, I am in higher standing educationally and financially than they are. How I treat them in my comments would give others a lead for how they would treat these men. Since it was on Facebook and not in the real world, it wouldn’t be as bad for the men, but I have decided that it really isn’t kind of me to be defensive over a stupid comment. Not only that, but is it really worth the effort to get worked up over an explanation that I did already know, but does not change anything in the long run? No, not really. This is what gets me sometimes about the accusations of “mansplaining.” Sometimes it is condescending and detrimental to relationships, but most of the time, as on Facebook and the like, it is just some guy getting their thoughts down and possibly not understanding that the information is already known. Charging men with “mansplaining” for minor comments only makes the woman seem insecure and men defensive and angry. There are many other things in life to get angry about, and usually how someone explains something shouldn't be one of them. If you're going to make a man defensive and angry with you, make sure it is something worth fighting for, ladies! If you haven't seen the movie version above, check out the scene where Emma gets her scolding from Mr. Knightley... wait...is this mansplaining?